In case your forgot, the old paradigm and myth goes something like this: “If you walk slow and talk slow, then you should swing slow ». Or « if you walk fast and talk fast, then you should swing fast ». Your tempo of your swing should match your personality. On the face of it, it seems to make sense, but if you really think about it in terms of athleticism and sports , it makes ABSOLUTELY NO SENSE. If you hold the view that golf is a sport and golfers are athletes, then it really gets put in the correct light. Similar to music a baby is not born with golf’s tempo on its hard disk. It is acquired, and if you are lucky to have your first golf swing next to a tour pro you are privileged. 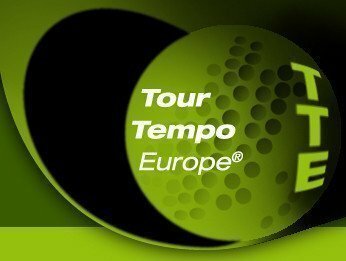 You copy the tempo of the golf pro, and that is the 3-to-1 ratio for the tempo of the golf swing (look here for the key to swing tempo https://tourtempo.eu/information/). It is then incorporated in your « small brain ». Scans make it possible these days to see these kind of brain activities, and why your ear, or your golf-eye likes these tempos (or musical beats). The validation of tour tempo in a Yale study (you can download it here https://tourtempo.eu/information/scientific-studies/) provides insights that amateur golfers display large deviations from the ideal ratio. But you can emulate the tour pro now, so to get maximum output with your swing from minimum input.